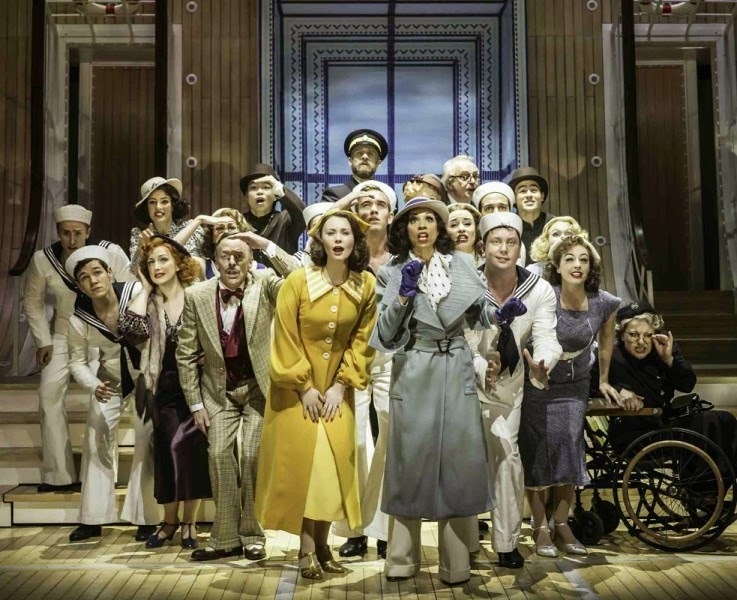 The Sheffield Crucible production of Cole Porter’s Anything Goes, set aboard the transatlantic liner SS American, slipped its moorings last month to star a country-wide journey. Tying up at the New Wimbledon Theatre for one week only, Daniel Evan's de-lightful show is giving south west Londoners the chance to catch what must surely be one of the finest touring productions in recent years. Richard Kent’s stage design sets the production amidst lifevests, railings and scrubbed ship’s decks that ingeniously play havoc with our perspective whilst Evans' company, dripping in experience, bring seriously crafted excellence to a show that demands not to be taken too seriously. Debbie Kurup leads as sultry singer Reno Sweeney. Kurup opens the show with I Get A Kick Out Of You, as her blends strength with smoothness, a deftness that defines this show's unique 1930’s appeal. Responsible for five of the show's biggest numbers, Kurup's dance is sublime throughout, with stunning footwork in the title song, whilst her Blow, Gabriel Blow sizzles with presence and passion. Billy Crocker is played by the ever talented Matt Rawle. Combining moments of comedy whilst being a focal point to the story's fairy-tale romantic strands, Rawle's performance in voice and timing is impeccable. 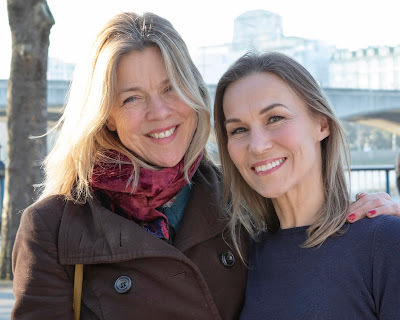 His emergence into white tie and tails for It's De-Lovely, duetting with Zoe Rainey's Hope Harcourt, brought just a hint of New York's Great White Way to Wimbledon's very own Broadway. Rainey too is perfectly cast, the elegant Irish actress giving a measured poise to one of the story's (rare) straight roles. Her take on Goodbye, Little Dream Goodbye offers an oasis of exquisite calm amidst Anything Goes' madcap mayhem. The second half of the show, as it descends into silliness, is notable for its sequence of comic cameo solos, with a seam of humour that suggests more than a hint of a rivalry with Noel Coward in Porter's writing. Hugh Sach's portly Moonface Martin, every inch the wannabe Public Enemy Number One delights with his Be Like The Bluebird as Alex Young's promiscuous Erma offers another gem with Buddy, Beware. As is so often the case with Anything Goes however, the biggest laugh of the night is generated by Stephen Matthews' sublimely suspendered British buffoon Lord Oakleigh. Watching Matthews' take on his madcap solo number The Gypsy In Me is to note that musical theatre is rarely so funny whilst remaining so stylish. Simon Rouse and Jane Wymark bring spice to the musical’s septuagenarian love story with comic finesse. The Crucible have a commitment to fine production values, demonstrated here by Alistair David’s imaginative choreography that has been meticulously drilled, with Nigel Lilley’s dance arrangements that only enhance Porter’s original score. Evans has coaxed brilliance from his entire team of company and creatives. With a gloriously Art Deco style and a list of musical numbers that virtually defines the American Songbook, musical theatre does not come better than this.